I’d been reading about these words that sounded magic. 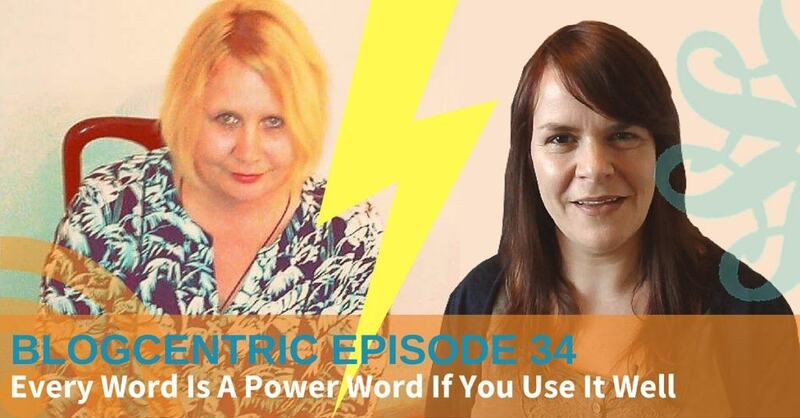 ‘Power Words’ would make people click, buy, enquire, convert. I was skeptical, I looked at the many lists of power words available online. ‘Free’ ‘Amazing’ ‘Mind Blowing’. None of these sounded like they’d make me do something, in fact, if you tried to sell me something with the term ‘Mind-Blowing’ I’d probably run in the other direction. Time to consult an expert. Eleanor Goold is a copywriter, her day is filled with words and she’s written some pretty interesting articles on the way we use them. So I tracked her down and asked her about power words. Are they really magical? A power triggers an emotional response in the reader. From a business perspective, it should encourage the reader to take action, to buy something, to click or to share. Power words aren’t just used in business, we find them in fiction too, they encourage us to keep reading. 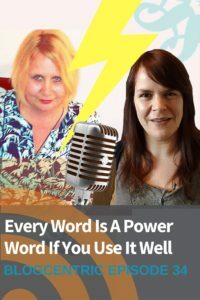 Eleanor believes that all words can be power words, it’s the art of putting the right words together at the right time for your specific audience. Sticking to lists of words is limiting yourself and your vocabulary. Every year LinkedIn publishes a list of overused words. They may have started as power words but over time their power has diminished. When you are writing it’s not about making yourself look intelligent, this can make the reader sound like they are dumb. 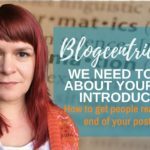 Writing is about properly communicating with your audience. Make sure you are using words they are familiar with and understand. How can you best identify the language that’s right for your audience? 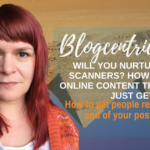 Finding the right language for your target reader is all about research. Research your target audience, find them online and you will discover the language they know and understand. For example, I might use the term SEO in my posts because you, my audience should understand it but if I’m speaking to the guy next door he’d be utterly confused. A Samurai sword is only effective in the hands of a master, the scalpel is only effective in the hands of the surgeon. To really understand the art of persuasive writing you have to get to know the words that you’re using and become a master of them. Read widely and identify words that appeal to you. Make a list and then look them up, try to understand not just the meaning but the genesis of the words. For example, the word ‘spelling’ comes from the same place as ‘magic spell’. Words are magical! Understanding the context of a word gives it more power in your hands. And beware of using power words without understanding them. Eleanor compares this to keyword stuffing. If you just try and elbow power words into your copy it will dilute the efficacy of what you are doing. Where should someone start looking at their writing to see if it’s powerful? Use a thesaurus and see if there is another way to say something. For example instead of saying something is ‘beautiful’ try ‘stunning’ it sounds so much more powerful. Read widely, you’ll find words that may have fallen out of your own usage. By reading widely you have a good understanding of vocabulary. When you read be analytical, work out why you like the posts and books you read. Study the words you use and they will become your friends. Always be expanding, not closing your vocabulary. Don’t forget the simple words. The most famous marketing slogan is ‘just do it’ none of the words in this phrase are powerful but together they have power. Words alone aren’t always powerful, it’s the context of the words. Think of a great orator reading a speech, their charisma, tone of voice, body language transforms the words they say. It’s the same with your writing, the words you use can transform or change the meaning. It’s the contrast between little and big that makes that phrase powerful. The only way to be a better writer is read widely, look at other people’s copy. Read more and write more to become a better writer. How do you curate your own power words? Hand writing can help you remember stuff. When you put pen to paper you are more likely to remember it. So a physical notebook of words can work better than a digital notebook. Write down phrases that capture you. It could be the opening line of a book or something you hear on TV. The news and the phrases our politicians use can be particularly powerful. Always be on the lookout for phrases and words you can collate. 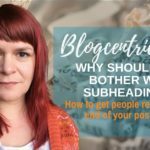 Her personal blog which is always crammed with fun content. Here is the link to that post on weasel words I mention in the podcast. There’s no time like the present, this week’s challenge is to collect 10 power words of your own and start trying to understand them better. Do as Eleanor suggested and research the root and history of the words. You can pick words and phrases from blog posts, books, TV, the news and don’t forget the words of our politicians. Do you believe in Karma? If so I highly recommend that you go over to iTunes or Stitcher and leave a review on this podcast, you never know what wonderful things might happen in return. 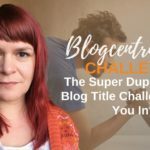 If you’ve been following my challenges or if you have done something on your blog that has worked well I’d love to hear about it. You can leave me a comment below, tweet me @spiderworking or snap me @spiderworking. Do Facebook ads make you tear your hair out? Let us manage your Facebook ads for you. We'll save you time and improve results. Get A Quote Now.